So the #$@&%$ Dog cant keep eating the Cat food! A cat food bowl with a wire metal cage over the top opening. Openings and spaces in the cage are sized and angled such that a dogs snout and mouth will not fit through the openings but that the cats narrower, slimmer heads can fit right through preventing dogs from snacking on the cats food. True enough. The device should have a bend in it, and rely on the bend. That way the cat can get his little head in there and then dip down into the food. The snout wouldn't be able to traverse the bend. 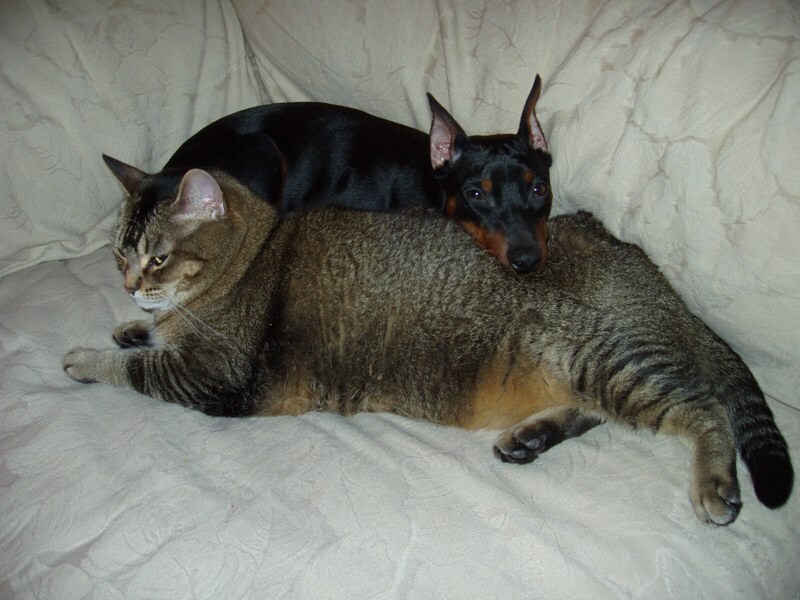 [xandram] Min Pins don't tend to wolf down cup fulls of cat food like 100lb golden retrievers do, thus I was targeting that dog demographic rather than the minpin, chiwwaiwaiwaiwiw demographic. You'd want to nail this thing to the floor. if dogs are denied access to the cats food what other item or material will they set their chops on when they are feeling snacky? [colorclocks] Nailing a golden retriever to the floor would be cruel and... Oh, the bowl. As you were.